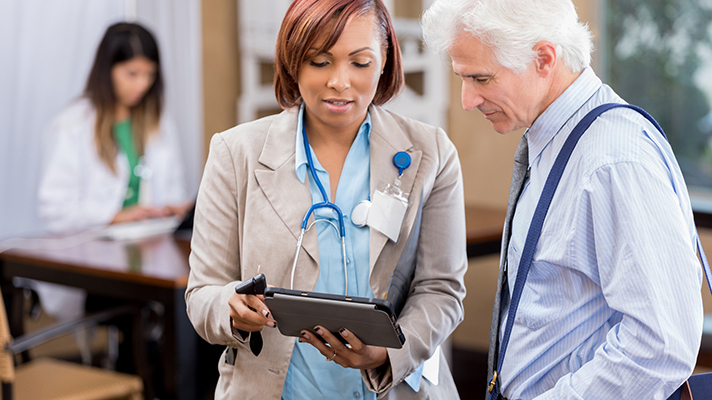 Ninety percent of healthcare professionals participating in a new survey confessed to being confused about what makes a highly interoperable EHR. Black Book Research, in fact, surveyed 11,838 doctors, healthcare administrators, technology managers and clinical leaders around the world. What’s more, 72 percent stated that their preferred strategy for EHRs is to link disparate systems through messaging, APIs, web services and clinical portals -- but only seven percent of all international EHR survey respondents described their regional HIT system as having meaningful connectivity with other providers. That’s at least part of the reason why Black Book in its new “State of the Global EHR Industry, 2018” report predicted a pending shift from silo EHR systems toward regions of healthcare delivery organizations in Europe, the Middle East and South Asia. Respondents to the survey anticipate a move to enterprise-wide electronic health records systems with data exchange and care coordination capabilities similar to the global offerings of current U.S.-based vendors by 2023. Eighty-three percent of EHR users in Europe outside the United Kingdom indicated frustration with country-specific and local vendors that typically serve only one country with limited components, such as coding, scheduling and results reporting. Of those clients, 72 percent said system limitations would prompt them to replace their local or country-specific EHR with a global vendor product. "The global healthcare sector is undergoing a wave of transformation, with digitization being the core focus area," Brown added. "Healthcare IT products, services and systems are in high demand in nations significantly upgrading their healthcare infrastructures such as Singapore, Israel, Japan and Italy, as well as infrastructure-generating nations of India, China, Brazil, Qatar and Indonesia." This investment on technology infrastructure for healthcare is expected to spark the double-digit growth of the EHR market spend in these specific regions through 2026, according to Brown, while spending on EHRs is expected to top $25.1 billion U.S. in 2017 and continue to grow to more than $30.2 billion by 2020.